« Voodoo, we do, you do!…..
Over the festive period I caught up with some old episodes of my favourite radio programme, BBC Radio 4′s Desert Island Discs. Grylls was asked whether he felt fear when he undertook his adventures. He sounded surprised at the question, laughed, and said of course he felt scared every day. So why, asked the presenter, didn’t he do what many of us would do and run away. 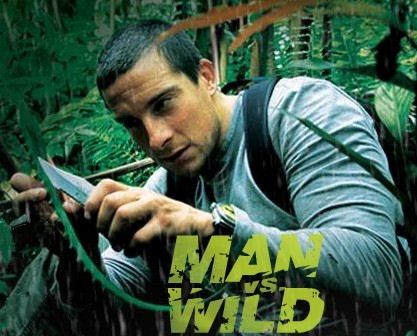 Running away, said Grylls, is often the most risky and worst choice that we can make. It’s something we do when we lose control of a situation. The same is true in business and everyday life. When we run away – by procrastinating, avoiding the task in question, or outright quitting, we expose ourselves to failure and hardship. Bear Grylls sees fear as a useful emotion that helps us to function better. It heightens awareness, sharpens our responses, and enables us to perform more quickly and effectively. When we immerse ourselves completely in the task, we make contact with opportunity, develop leads and produce results. We might get a few bumps and bruises along the way, but the end result is success. Alligator tamed. Summit peaked. Ocean crossed. Fear is your body’s way of priming you to perform at your optimal level. It’s up to you to decide what to do with it. 1. One of the most important forces in nature is the force which pulls things to the ground. This force is called gravy. 2. In Africa wild breasts roam the plains. 3. In the forests of Scotland you can see wild dears and slags. 4. The Danish people come from Denmark, the Norwejuns come from Norway and the Lapdancers come from Lapland. 5. In Africa children are staring to death. They only get a little groin to eat. I would not like to eat groin. 6. Today we learned about the Hardon Collider. When the Hardon Collider is turned on it could cause a big bang. 7. In the news today they said they have found the remains of a Roman fart. This entry was posted by Sunil Bali on January 8, 2012 at 9:09 am, and is filled under Mindset, Set & Match. Follow any responses to this post through RSS 2.0. Both comments and pings are currently closed.